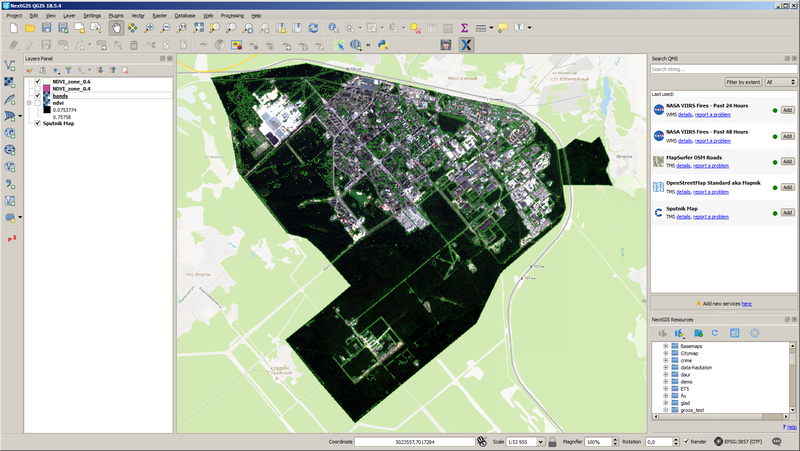 NextGIS QGIS is a fully-featured desktop GIS based on QGIS and used for data creation, editing, map-making and geoprocessing. QGIS is under active development by international community which we’re happy to be a part of. NextGIS team have created lots of QGIS plugins and became one of the first QGIS sponsors. We’re contributing to the core since 2008.
these are sample data profiles used by original customer – Council for Scientific and Industrial Research (CSIR) in South Africa. you have written the tool “QuickMapServices” as an extension to QGIS – to load freely available topographic maps. One can load e.g. OpenStreetMap without problems. But it is impossible to load OpenTopoMap, although it appears in the extensions menu, and although the the layer name appears in the layer window on the left, in addition a message appears: “0 files downloaded, 16 cashes hit”. But the map window remains empty. Could you friendly eliminate the error? – Thank you very much! This was fixed. For the future, please try to provide details on what has changed in service definition, we can’t support all the services ourselves. Thanks. I have installed nextgis for Mac and it doesn’t show up anywhere. When I try to install again. It says the folder already exists. I can’t delete it and I can’t install it again. You can enter in spotlight “qgis-ng” or use launchpad where qgis launch icon exists (blue shield with Q letter). To update or uninstall the software use nextgisupdater application (also present in spotlight and launchpad).